Find the Frank West Statue. Didn't there used to be more of these? Beat the game on Blackest Friday difficulty. Frank Rising - Complete Frank Rising... at a terrible price. Frank Rising - Complete Frank Rising with the best ending. Frank Rising - Complete Frank Rising with the best ending on Hard difficulty. Frank Rising - Complete Frank Rising with the best ending on Blackest Friday difficulty. 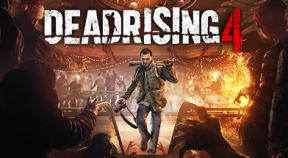 Frank Rising - Unlock your first zombie ability. Frank Rising - Collect a princess wasp. Frank Rising - Collect all of the princess wasps. Frank Rising - Recover 10,000 health by Feasting. Frank Rising - Collect 10 evo wasps. Frank Rising - Collect 10 brain jars. Frank Rising - Collect 10 cases of tainted Zombrex. Frank Rising - Collect 10 of Barnaby's research notes. Frank Rising - Collect 10 organ coolers. Frank Rising - Collect 3 portable detection devices. Frank Rising - Reach a Hit Counter of 50, then Feast. Frank Rising - Survive your first night as a zombie. Frank Rising - Collect the evo queen. Achieve par on a hole. Achieve a hole in one. Be the victim of a Ball Buster. Achieve par on a course. Kill 5 zombies in one shot. Kill 30 zombies on a course. Unlock a new club type. Use every Ball Buster on other players. Use a Ball Buster on another player. Capcom Heroes - Unlock all of the Capcom Heroes Costumes. Capcom Heroes - Complete all Hero Training. Capcom Heroes - Complete all Hero Training for a single Costume. Capcom Heroes - Beat-up 10 cars using a Street Fighter® Costume. Capcom Heroes - Complete the Capcom Heroes Dead Rising 4 story mode. Capcom Heroes - Complete an investigation using the Sissel Costume. Capcom Heroes - Eat 5 pizzas using the Dante Costume. Capcom Heroes - Stun 500 zombies using the Classic Frank Costume. Capcom Heroes - Feast on 100 humans using the Zombie Frank Costume. Capcom Heroes - Kill 100 zombies with a Ranged Attack using the Arthur Costume. Capcom Heroes - Kill 100 enemies with Akuma's Raging Demon attack. Capcom Heroes - Kill 50 enemies with headshots using the Jill Valentine Costume. Capcom Heroes - Kill 500 enemies using Ryu's Hurricane Kick attack. Capcom Heroes - Visit Slappy's Fun Shack and Party Poppers in the Mall as Adam. Capcom Heroes - Kill 200 enemies using Mega Man's Mega Buster. Capcom Heroes - Earn 5000 Scrap using the M. Bison Costume. Capcom Heroes - Kill 20 enemies using Zangief's Cyclone Lariat attack. Capcom Heroes - Find all Capcom Treasures. Capcom Heroes - Break the gong in Old Town using the Amaterasu Costume.